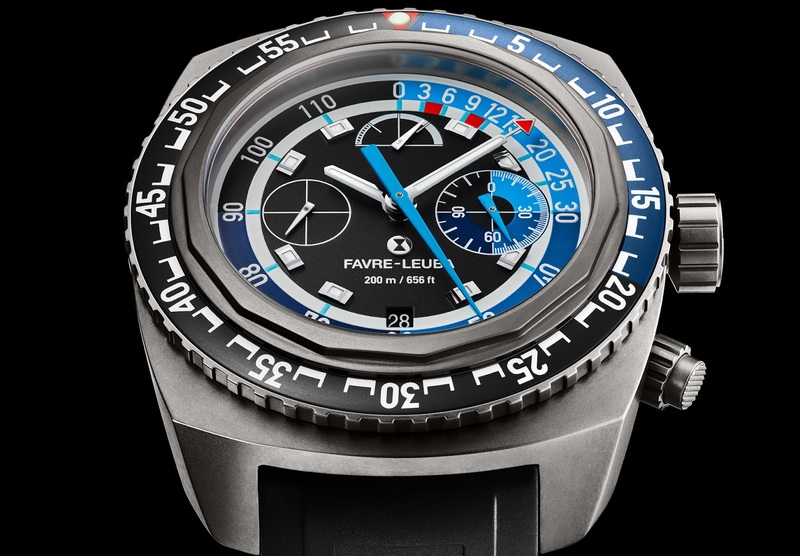 Favre-Leuba are back in the depth-gauge business – celebrating 50 Years of their legendary Bathy, which was introduced in 1968, and was one of the first dive watches with a membrane and a central hand that made it possible to measure depth more accurately – this is the new Raider Bathy 120 MemoDepth. 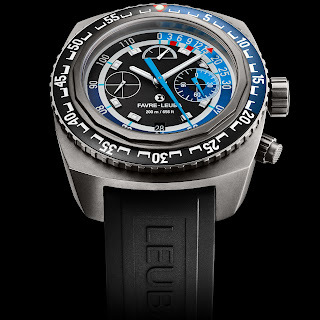 This modernized depth gauge diver has a special membrane integrated into its case-back allowing water to enter a chamber that measures pressure to calculate depth up to 120 meters – twice that of the depth measured by the original Bathy. The depth is then relayed via a punchy bright blue central hand on the watch’s dial. The Bathy 120 MemoDepth is water resistant to 200 meters and has a depth memory that stores your maximum depth reached during a single dive – up to 120 meters. The depth membrane has been hermetically-sealed from the movement so that the rest of the watch’s inner workings are protected from water. Basic spec. includes: a mechanical hand-wound, FL321 caliber, with a specially designed mechanisms for the depth gauge, 65-hour power reserve – housed in a 48mm Titanium case. Just forget for a moment how ingenious FL’s depth-gauge technology is – the 120 MemoDepth is off the charts cool in the looks department. It’s gonna’ be expensive. I wonder if this will ever be offered in the same orange as the historic model? This is awesome, depth gauge roots, vintage inspired styling, automatic movement.